My best friend Kori gave me this simple banana bread recipe last night during one of our epic long distance phone calls! 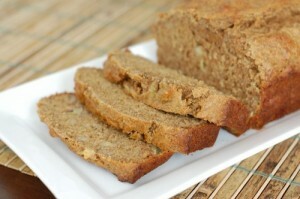 This banana bread is always a big hit! It’s a great way to get rid of those super ripe bananas! Grease a Pyrex loaf pan.